“When the righteous increase, the people rejoice, but when the wicked rule, the people groan” (Proverbs 28:2). When I first thought of writing this blog post as a second instalment on my recent European trip, I intended it to be a follow up of “In the footsteps of John Calvin.” It was supposed to be entitled, “In the footsteps of Martin Luther.” What a wonderful sequel it was going to be, since these two men were the chief luminaries of the Protestant Reformation! 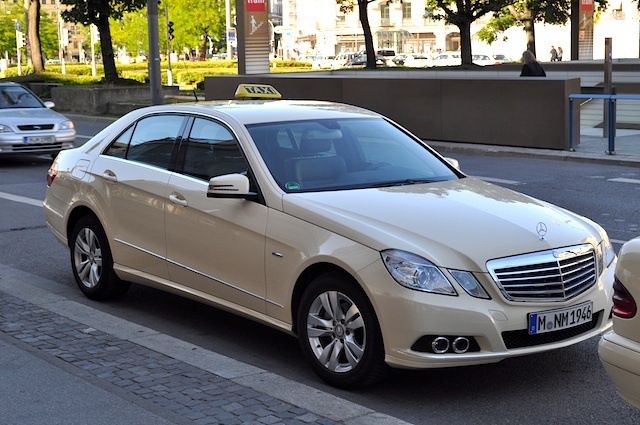 I had intended to close the blog with one of the unbelievable sights I was treated to in Germany—seeing Mercedes Benz taxis. I mean, almost all the taxis I saw were recent models of Mercedes Benz cars. I had to pinch myself to make sure I was not dreaming. 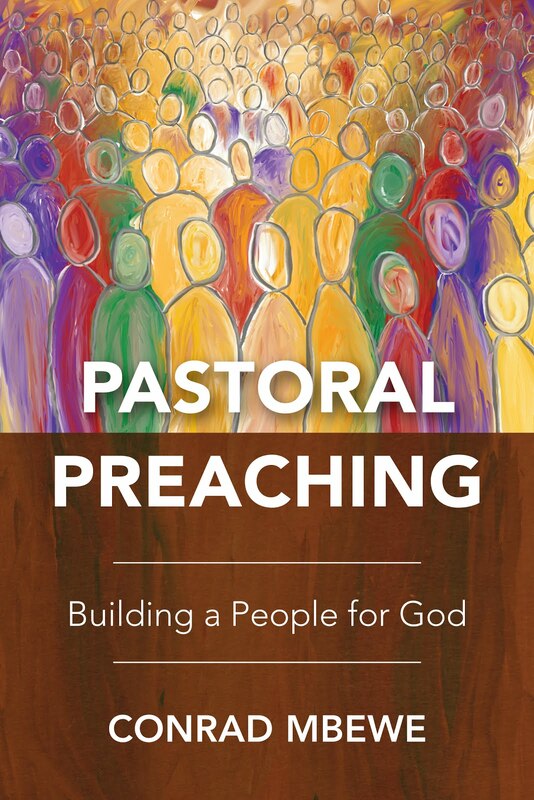 I even sent an email back home while I was in Munich, telling my friends that I had finally discovered what I was going to do after retiring as a church pastor in Zambia. I was going to be a taxi driver in Germany! I am still recovering from this sight--Mercedes Benz taxis! I had my blog post figured out, but the last part of my visit to Germany spoilt everything. My host (Joachim Schmutz, a General Secretary of the Munich YMCA) took me to one of Adolf Hitler’s concentration camps. I am still reeling from the effect of what I saw there. How can a human being do this to fellow human beings? 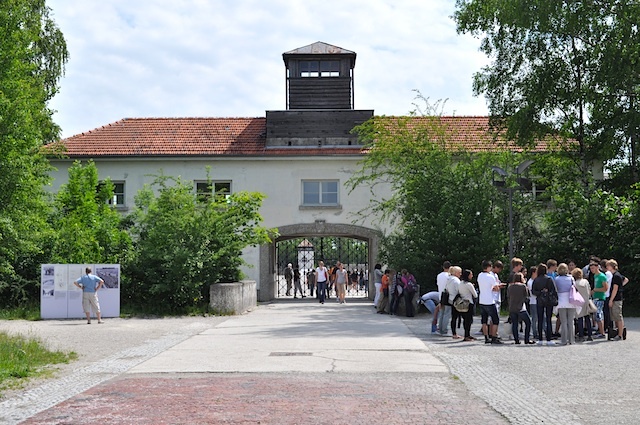 The concentration camp I visited was the Dachau Concentration Camp, situated 16 kilometres northwest of Munich. Dachau was the first concentration camp to be opened in Germany by Adolf Hitler and, therefore, served as a model for future camps. It was opened on 22 March 1933, “in the interest of state security,” six years before the Second World War. 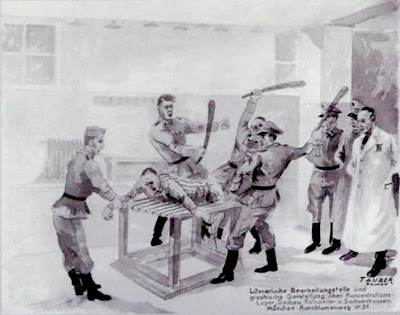 It was initially meant for the incarceration of political dissidents and ended up being the longest running concentration camp of Hitler’s Third Reich. In its early years, it was the most well known of all the concentration camps and spread fear and terror across Germany. 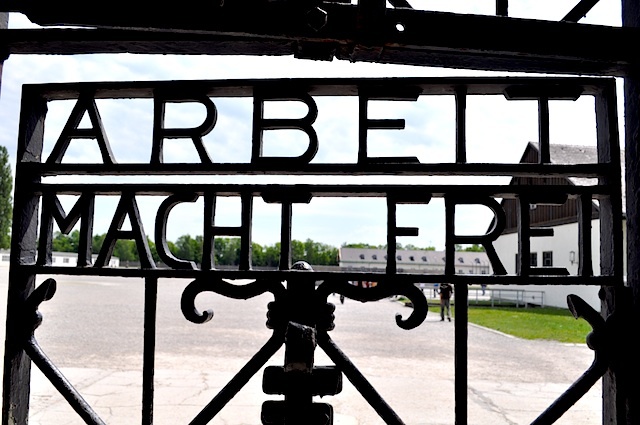 As you enter into the camp, you are greeted by the words, “Arbeit Macht Frei” (“Through Work One Will Be Free”). These words spelt out what the people who were kept in these concentration camps were going to be doing—work—but at the same time they spelt out, with tongue in cheek, what was not going to happen—no one was going to really be free. Around the camp you see an electrified barbed wire fence and seven guard towers. When the camp was in operation, prisoners wore different badges to identify who they were—red was for communists and other political prisoners, green for criminals, pink for homosexuals, purple for Jehovah’s Witnesses, black for social misfits, and yellow for Jews. "Arbeit Marcht Frei" written on the entrance gate spelt your doom! 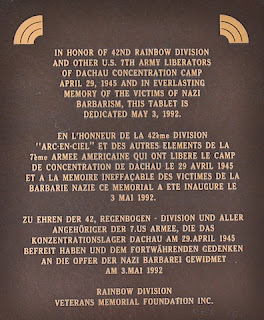 It is not known exactly how many people were imprisoned in Dachau. A Wikipedia website suggests that there were over 200,000 from more than 30 countries, of whom one-third were Jews. Over 30,000 of these prisoners died in the camp mostly through disease, malnutrition, and suicide. There was overcrowding, poor sanitation, lack of proper medical care, the withholding of food, overwork, beatings, and shootings for the flimsiest of reasons. Many prisoners died in transit because they were moved from one place to another crammed for days or even weeks in railway boxcars meant to carry freight. With no proper sanitation in those boxcars, and with little or no food or water, many just failed to survive. 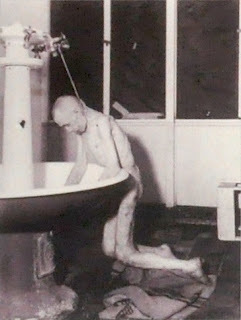 Some arrived in the concentration camp too weak and died a few days later. A crematorium was built to dispose of the dead bodies. By the time the Allied Forces came to the rescue, the death rate had reached 200 inmates per day! Many of those who were incarcerated were Roman Catholic priests (with a few Protestants). They were imprisoned for all kinds of “offences” related to opposing the Nazi Regime. Sometimes the offence consisted of the priest apparently praying a prayer that was against Hitler. Hence there was a “priests block” where they were kept away from other prisoners. Of the 2,700 priests who were imprisoned there, slightly over 1,000 died in the camp, most of them through starvation or malnutrition. 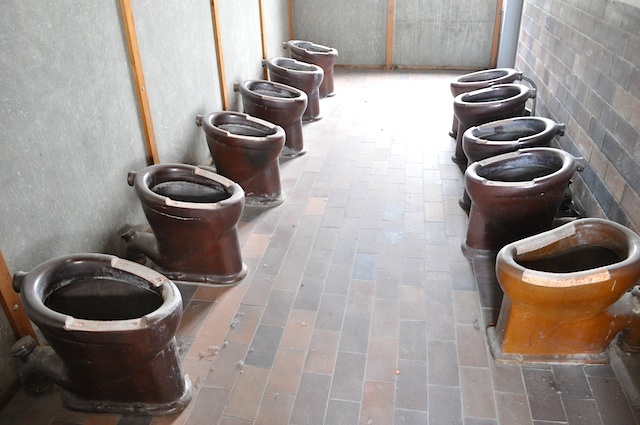 These are the toilets that prisoners used--with no privacy! 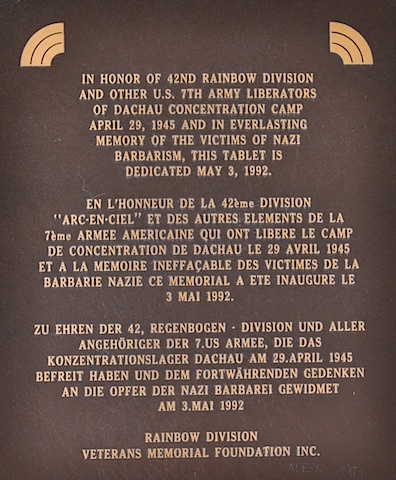 On 29 April 1945, Dachau Concentration Camp was surrendered to the US Army. The camp commander and his deputy had already fled and so the remaining guards did not put up any resistance. The US Army found 32,000 prisoners crammed into space meant for a maximum of 5,000 prisoners. In other words, barracks (dormitories) that were supposed to house 250 prisoners each were instead crammed with 1,600. The American soldiers were so horrified by the conditions and the piles of dead bodies they found there that some of them, out of outrage, killed some of the guards who had already surrendered to them. The inmates, upon being freed, also killed some of the guards. It is said that Adolf Hitler was a master of the art of propaganda. The truth of what was really going on in these concentration camps only came to be known after the Allied forces liberated the prisoners. Pictures of piles of dead corpses were circulated in the Press and the world was stunned by what they saw. Even the people of Dachau were shocked to discover what was going on in their very neighbourhood when they came into the camp after the Allied forces called them in to help clean it up. They were totally ignorant of the activities that were taking place in the camp. Hitler used the Press to convey information that either vilified the prisoners or gave the impression that they were being looked after very well. In the meantime, in various concentration camps, millions of prisoners were being slaughtered or were dying of malnutrition and disease. “How can a human being do this to fellow human beings?” If we understand the Fall of man that took place in Genesis 3 and its consequences, then this should not surprise us at all. This often happens when absolute power is given to a fallen human being who does not know God (as God has revealed himself in Christ). The basic truth that we are all made in the image of our Creator is lost. 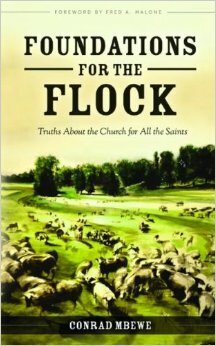 Hence, “some animals [become] more equal than others.” Those of us who know Christ in a saving way have swapped our own agendas for God’s agenda. Our desire is to see God’s kingdom spread, where truth and love are upheld. This is why true Christianity has always been the vanguard of civilisation and respect for human rights. Hitler lacked that altogether and so ended up with his own self-aggrandising agenda—with totally disastrous consequences. I'd be interested to hear your definition of "true Christianity." Too often I hear it used in the form of the No True Scotsman excuse... Sadly, the Catholic Church as a whole (despite many individual brave and good priests) was wholeheartedly on Hitler's side throughout the war. The connection is well documented and disgusting. Rwanda was one of the most religious countries in Africa. Martin Luther and Calvin had some major issues with hatred of minorities and controlling people, along with violence toward those who disagreed. Luther especially hated the Jews and was a huge influence on Hitler. I am an atheist and frequently hear accusations that atheism has no way to account for morals/say that something is absolutely good or bad (not true) and that it will inevitably lead to things like Nazism and other despotic rulers killing millions. Whether or not evil people say they are religious or not, they are responsible for their evil - and the way to help avoid future disasters IMO is through humanism - teaching people to question, to ask why, to believe they have a right to ask why, not to go along with authority with their minds turned off, whether that authority is the government or God. If God is real He can take questions - if not, you're better off knowing. Thank you for your thoughts on the, Pastor Mbewe. 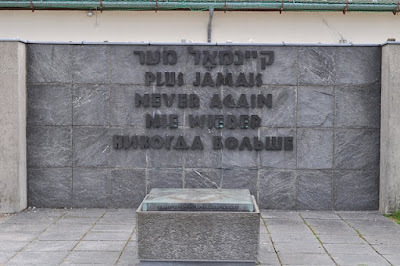 As an American, I'm accustomed to hearing the impressions of Americans who visit Dachau and I've visited the Holocaust museum in Washington, D.C., which probably gives an American version of the story but I've never heard the the perspective of someone from Africa. I was reading tonight about the Ku Klux Klan in the U.S. in the 1930's and 40's. At the same time Hitler was running Dachau, it is estimated that 15% of Americans belonged to the KKK. 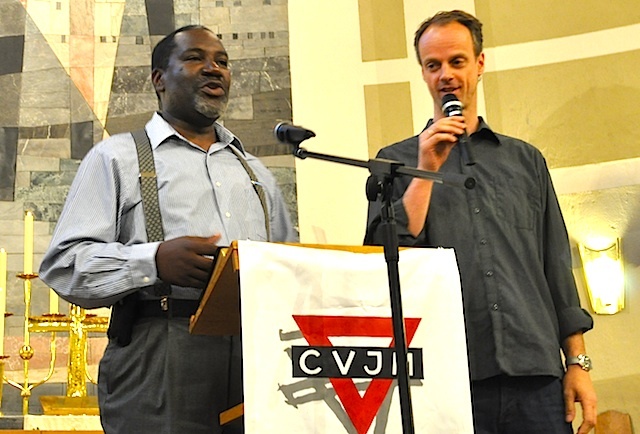 They held huge rallies and preached against Catholics, Jews, immigrants and Communists. Discrimination was common and violence was not uncommon. At the same time Americans were liberating Dachau and Europe, Americans in the U.S. were committing evils against their own countrymen. You are so right about men swapping God's agenda for their own! Firstly I would like to thank you for presenting the truth without distortion .Just the way you came across it. Usually the problem in this world is that myriads live as if they do not have souls. A guy like Hitler lived as if souls were of no value and as if one day he would not stand before God to give an account. The earth with all its works will be destroyed but the soul of the poorest man will not die. That is why the world is in the state that it is in. Leave man to his own self and he is destined for destruction of his own soul. It is like a vehicle travelling without brakes....or a ship or aeroplane without instruments. (Romans 10:9-10)9 If you declare with your mouth, “Jesus is Lord,” and believe in your heart that God raised him from the dead, you will be saved. 10 For it is with your heart that you believe and are justified, and it is with your mouth that you profess your faith and are saved. It will not be about how we have lived here on earth but whether we know Jesus that will save our souls. They must take my caution seriously because.They may have all the riches in the world.Or they may think that they are in control of their lives .However in itself if they are loosing their souls they are a poor! And If they do not do anything they will find themselves as paupers for all eternity. (Mark 8:36)36 What good is it for someone to gain the whole world, yet forfeit their soul? Thank you for this post, Pastor Mbewe. 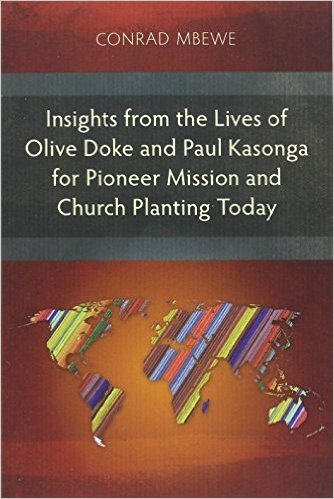 My parents were missionaries when I was growing up, and the two countries that we lived in (outside of the United States) were Germany and Israel. 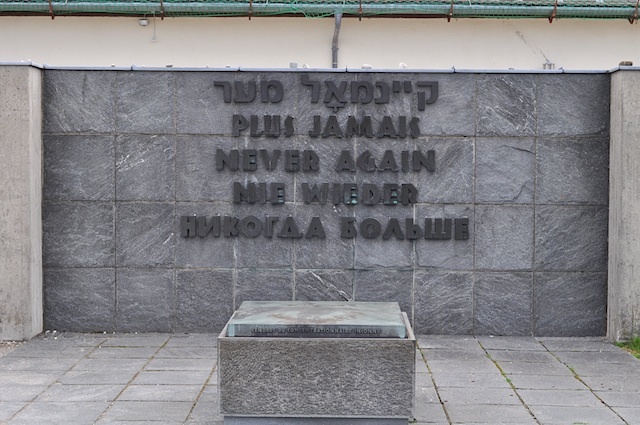 The Holocaust was not spoken of in Germany, seemingly out of shame (though I was quite young so I'm not sure), but in Israel there is a Holocaust Remembrance Day every year, so that they will never forget what happened in Europe. I would love to say that people today would not allow this to happen here in the United States, but I would be lying. Since 1973 there has been a holocaust against babies resulting in over 53 million slaughtered babies (about 4,000 per day), all in the name of "choice", and sanctioned - even paid for - by the government. We dare not say that we would have spoken up in Nazi Germany to defend the Jews if we do not speak up in our own countries to defend the helpless babies being slaughtered daily :o( And honestly, I do not believe that simply casting a vote against abortion is sufficient effort on our behalf for the sake of these poor little babies. But...God is rich in mercy, and will even forgive Nazis, abortionists, liars, lusters, coveters, thieves, murderers, etc. All who repent (apologize AND turn from their sins) and trust in the Lord Jesus Christ alone for their salvation (as the Only sufficient payment for their sins to a holy and just God), He will grant everlasting life to - He is THAT kind! To those of us Christians who have not spoken up about the current holocaust against babies, or any other atrocities that call out for justice, we would do well to read 1 John 1:9. Thank you so much for presenting this truth, Pastor Mbewe, and may God be pleased to use it to bring glory unto Himself.